*To char the rosemary sprig, place it over an open flame (either on a grill or stovetop) and rotate for 5-10 seconds until the herb begins to smoke and brown slightly. Place half of a lemon and the blackberries into a cocktail shaker and lightly press with the back of a bar spoon. Add remaining ingredients, including one sage leaf, to a cocktail shaker filled with ice. Shake vigorously. Strain into a rocks glass over ice. 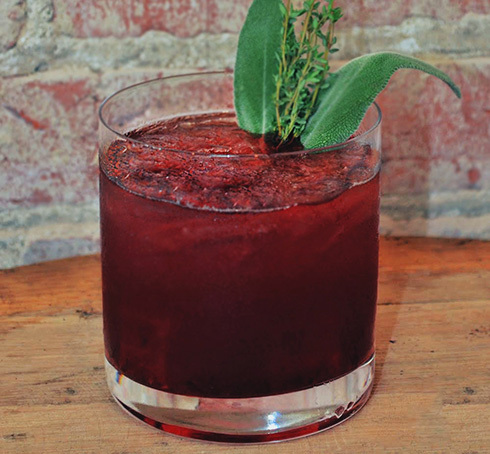 Garnish with the remaining two sage leaves and a sprig of thyme. 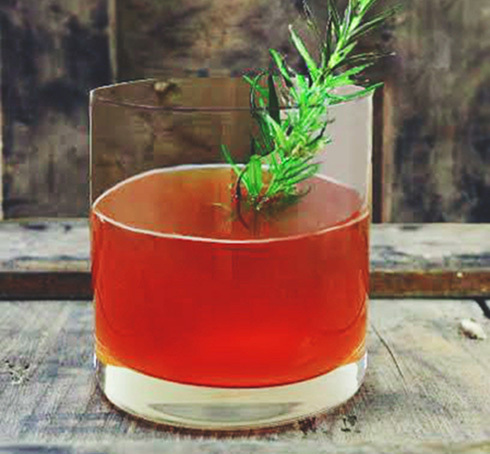 Combine cinnamon syrup and cloves in a cocktail shaker and shake vigorously for 10 seconds. In a separate shaker, muddle apple slices. Strain cinnamon syrup and clove mixture into a shaker with muddle apples, and add the Basil Hayden’s Bourbon and lime juice. Shake for 10 seconds and strain into a lowball glass filled with ice. 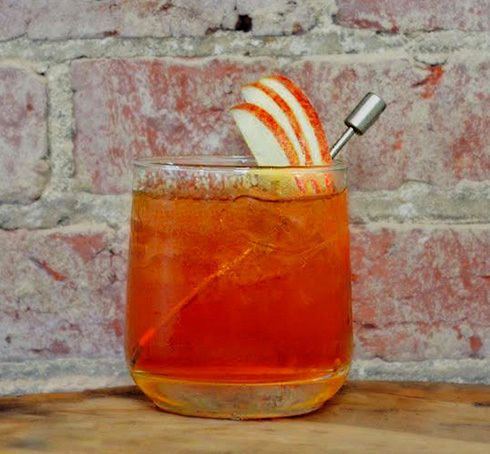 Garnish with a fan of apple slices. *Cinnamon Syrup can be purchased or homemade by combining a 1:1 ratio of sugar and water in a saucepan over medium heat until sugar dissolves, adding 6 full cinnamon sticks and letting the mixture sit overnight. Remove cinnamon sticks before using in cocktails.